RAWALPINDI, Aug 29 (APP): A blazing half century by Sohaib Maqsood and a 76-run stand by the openers helped Peshawar to post 176 runs on the board and inflict a 36-run defeat to Islamabad in a match of the Cool & Cool presents Jazz National T20 Cup match here at Pindi Stadium, Rawalpindi on Monday. Islamabad chose to bat first after winning the toss but their bowlers failed to create any trouble for Peshawar’s batsmen as their openers Rafatullah Mohmand and Israrullah scored 66 and 42 runs off 51 and 33 balls, respectively. 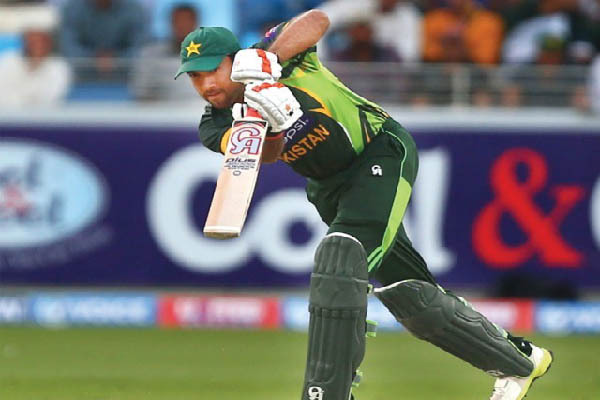 It was however a superb display of batting by national team discarded middle-order batsmen Sohaib Maqsood that caused a huge damage to Islamabad. He scored 51 runs off 22 balls, hammering 5 fours and three huge sixes. His catch was taken by Ali Sarfraz on the bowling of left-arm fast bowler Junaid Khan, who captured two scalps in his four over, conceding 39 runs. One wicket each was taken by right-arm offbreak Adil Amin and slow left-arm bowler Abdu Rehman. In reply, Islamabad’s batsmen could score only 140 for the loss of five wickets. Openers Raheel Majeed and Afaq Raheem scored 21 and 34 runs off 15 and 32 balls, respectively. Middle order batsmen Inam-ul-Haq scored unbeaten 34 off 30 balls, while Adil Amin made 32 off 25 balls. Peshawar’s slow left-arm Imran Khalid and left-arm medium fast bowler Imran Khan grabbed two wickets apiece. Left-arm fast-medium Waqas Maqsood took one wicket for 21 runs in his four overs. Sohaib Maqsood was declared player-of-the-match for his match winning innings.